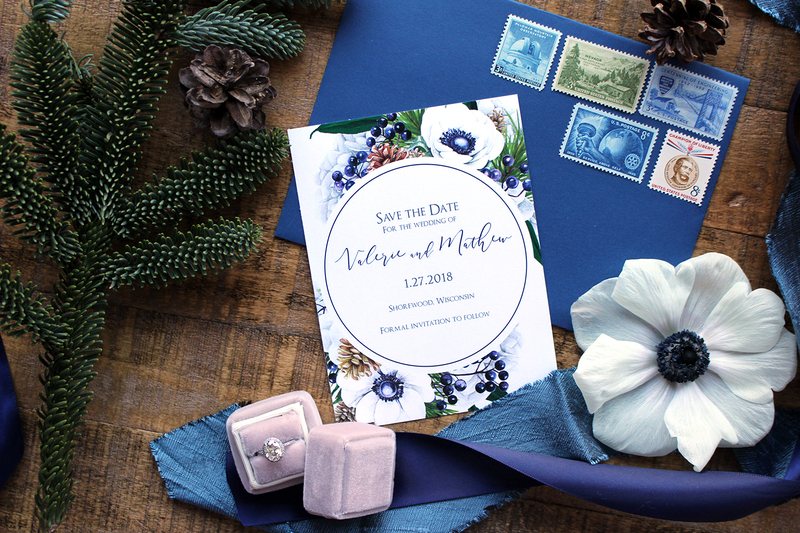 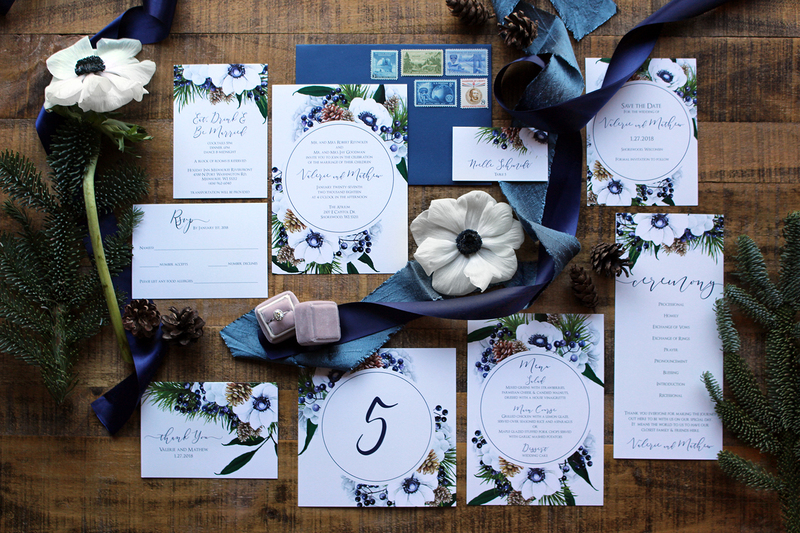 Winter weddings can be so beautiful with all the fun foliage that is available. 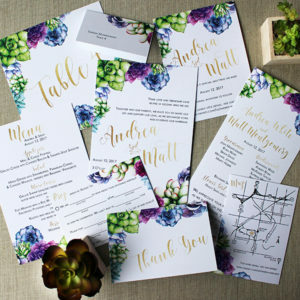 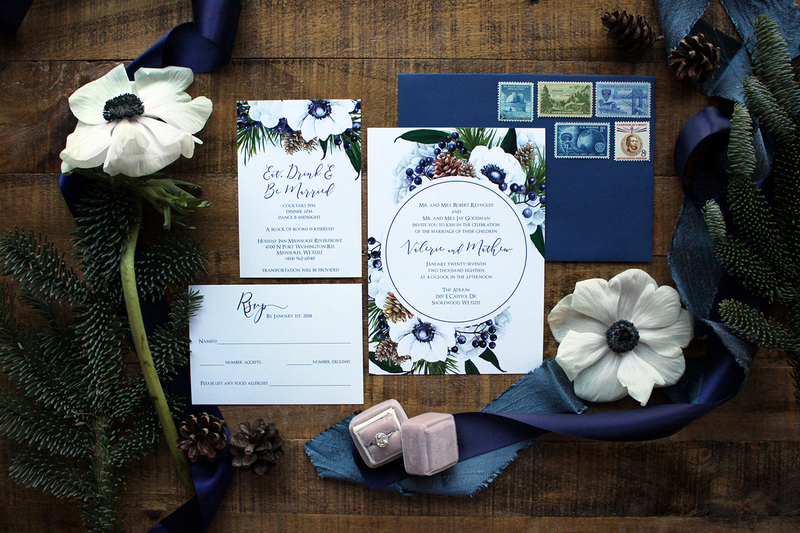 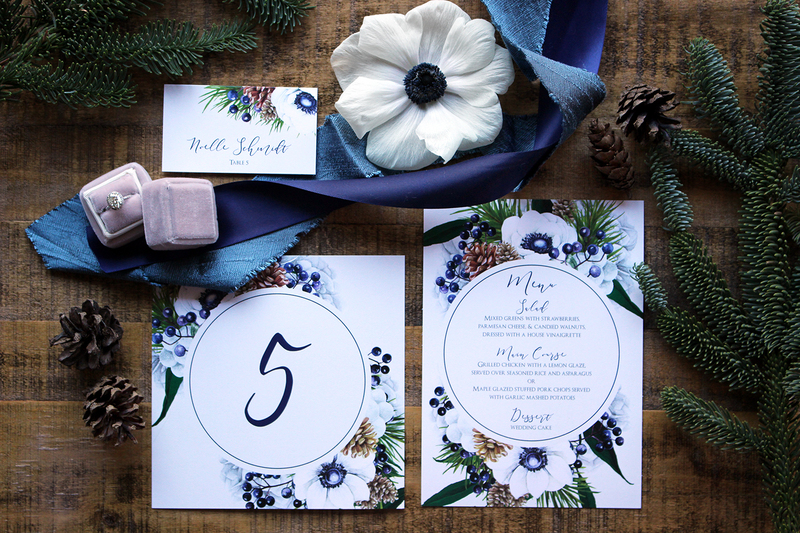 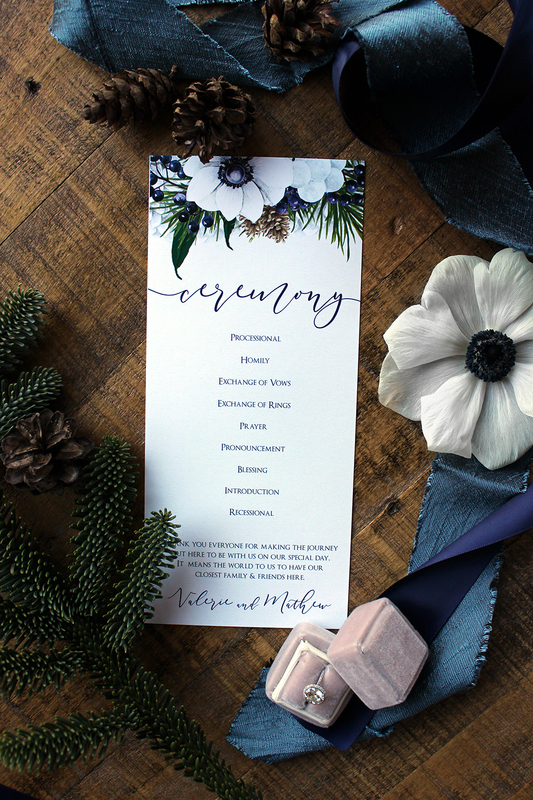 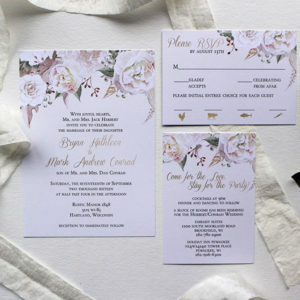 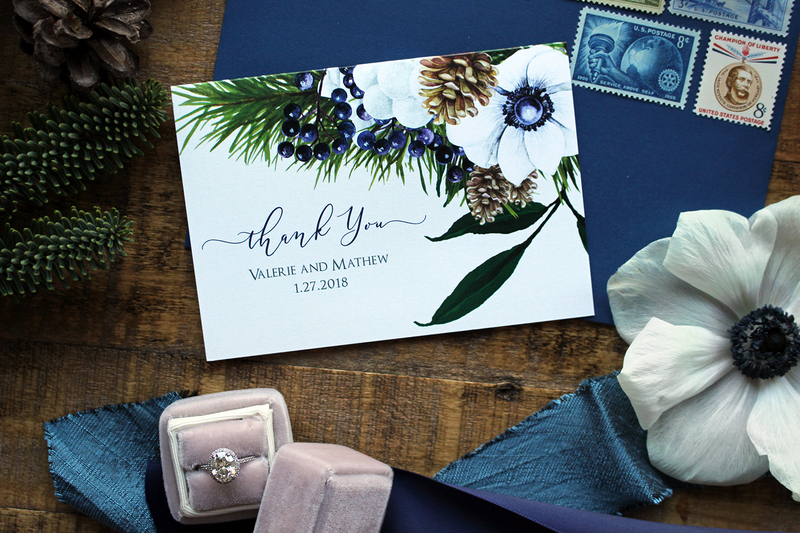 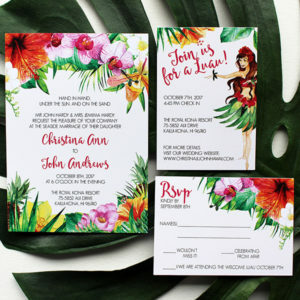 This design features anemones, berries, pine cones and winter greens. 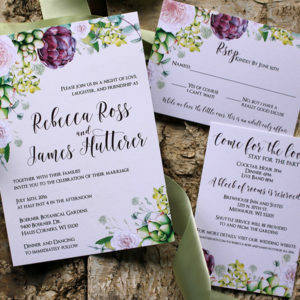 This can also be done in any color.